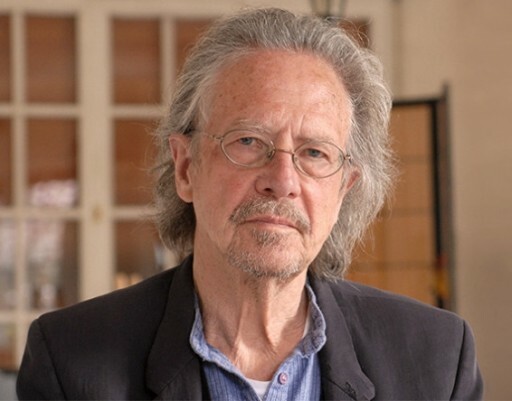 Peter Handke was born in Kärnten, studied law at the University of Graz from 1961 to 1965, but broke off his studies when his first novel manuscript was accepted in 1965 (Die Hornissen, 1966). In the same year, the legendary play Publikumsbeschimpfung (Offending the Audience) was put on in Frankfurt, directed by Claus Peymann. He has since published more than thirty novels and works of prose, and has written a number of plays and screenplays, including the screenplay for Wim Wenders’ well-known, award winning Der Himmel über Berlin (Wings of Desire or The Sky Above Berlin, 1987). He has won a number of international awards for his literary work and is regarded today as one of the great names of European literature. Handke lives in Chaville outside Paris. • The award ceremony will take place on 21 September during the Ibsen Festival at the National Theatre in Oslo. Peter Handke’s Immer noch Sturm will close the festival. • The award is funded by the Norwegian Government via the Ministry of Culture and is awarded every second year on Henrik Ibsen’s birthday. • The committee consists of: Per Boye Hansen (Chair), Therese Bjørneboe (Deputy Chair), Hanne Tømta, Christiane Schneider, Sir Brian McMaster, Dr Thomas Oberender, and Roman Dolzhanskiy.